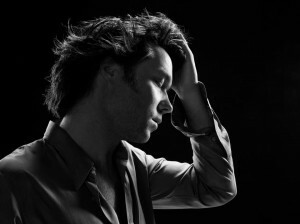 Chugg Entertainment has this morning announced a national tour by US singer songwriter Rufus Wainwright. The singer was last due on Australian soil more than two years ago for shows in Sydney, but they were cancelled in January of that year due to his mother’s illness. Now armed with a slew of new songs from his latest album ‘Out Of The Game’, Rufus is returning to Australia for six shows in September, taking in the five major centres, but kicking off with a show at the Canberra Theatre on September 08. Chugg has also announced that jazz chanteuse Krystle Warren and songwriter Teddy Thompson will provide support for the dates, alternating in the role across the shows. Tickets for all are on sale on Tuesday June 05. Saw Rufus perform at Sydney Opera House in October 2010 – less than 2 years ago ;) – and he was marvelous! Can’t wait to see him this time around with the brilliant new material from ‘Out of the Game’! Saw Rufus at Syd Opera House in October 2010 – less than 2 years ago ;) – and he was marvellous!